It’s hard to say, what the best fighter plane of World War 2 was, but we certainly can say that a few stood out during that historical period. To make it easier, we need to refine it further, depending on different characteristics, such as: longer effective range, best high attitude fighter, damage resistant aircraft etc. The Germans built great aircraft and they had the best guns throughout the war. The major problem was the fact that they didn’t understand the need for fighter to be a strategic weapon (one used to bomb cities and factories). They did, however, use planes best as tactical weapons (support for ground units attacks). The Russians on the other hand devoted effort on close air supports and the Japanese made fast and maneuverable fightere, but very delicate that could be disabled with just one good shot. What were the best fighters during World World 2? 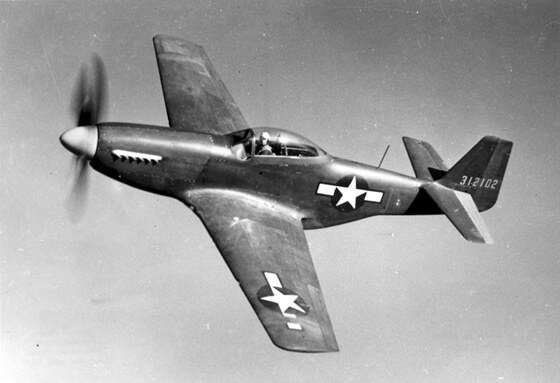 North American P-51 Mustang was designed in a response to a British specification. It was a plane that helped to gain control over Europe sky. This single seat fighter-bomber with the speed of the 425mph managed to clear the sky from the Luftwaffe. North American P-51 Mustang was a long range, fast and easy to fly but not the point-defense interceptor like a Spitfire. Play “Bomber At War” here. This light and easy to control plane was heavily armed. Focke-Wulf Fw-190 was one of the best fighters of all time with a reach speed of 600mph. 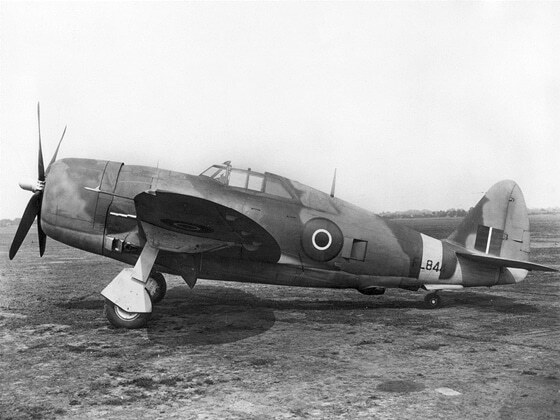 This single-engine fighter was widely used in the World War 2. It was superior to any other plane until the debut of the Spitfire. 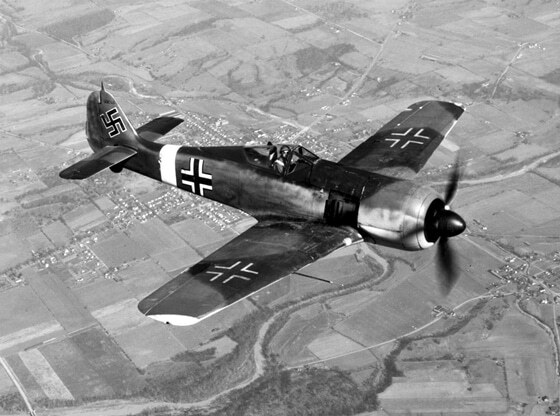 The FW-190 was highly effective and feared by the allied bomber formations. The certain fear factor played a part in a combat. Experience the harsh surroundings of the battlefield in “Strafe Game”. The British Spitfire was one of the ultimate fighters of the war with tremendous firepower. This Spitfire could reach 454 mph and it achieved legendary status during the Battle of Britain by achieving the highest victory-to-loss ratio among British aircraft. Spitfire was in some opinion the most beautiful prop-powered plane ever built with its long nose, slender fuselage, bubble canopy and distinctive elliptical wings. Messerschmitt Bf109 is one of the few fighters ever to be developed from a light-plane design. The great success and longevity of the Messerschmitt Bf 109 can be attributed to the simple directness of its design. Although not the best gun platform, it remained a formidable adversary until the last day of war. The Mitsubishi A6M “Zero” is a long-range fighter aircraft which was operated by the Imperial Japanese Navy during World War 2. It was considered the most capable carrier –based fighter. 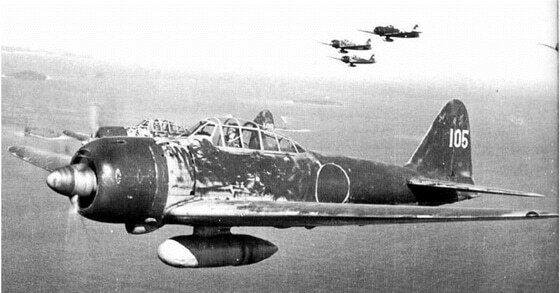 In early combat, the Zero gained a legendary reputation as a dogfighter and was a symbol of Japanese air power. Try “Dogfight Simulator” game and prove your reputation. 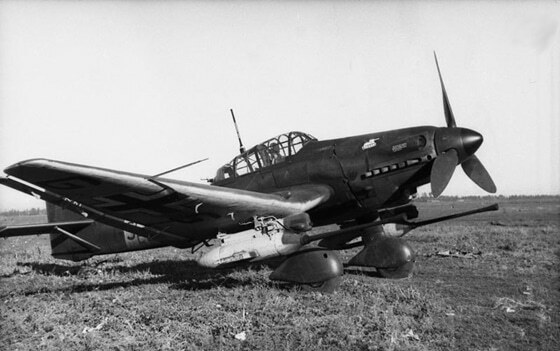 The Stuka was a two-man, single-engine dive bomber and ground-attack aircraft. 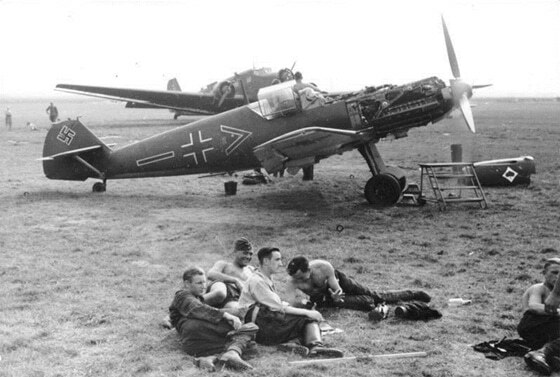 Junkers Ju 87 was more than a terror weapon. This model was perfectly suited to the opening days of the war, when the Germans had air superiority. The I1-2 was called a “flying tank” because it was heavily armored and had great firepower from its cannon and rockets. It was imagined as single-seater, but in 1942 two-seater was introduced. It could carry 1,200 kg of bombs over a distance of 400km. Ilyushin-2 Shturmovik was specially designed for assault operations. A highly maneuverable fighter-interceptor that could out-climb and out-accelerate Messeschmitt Bf 109 and Focke-Wolfe 190s at lower altitudes. Yakovlev Yak-3 was a deadly weapon that was designed as an air-superiority plane. Max speed of this amazing plane was 407 mph. Play “TU -95 “Russian bomber. 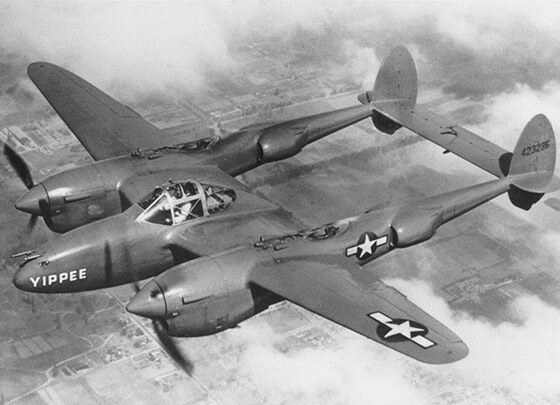 The Lockheed P-38 Lightning was a World War 2, propeller driven, fighter aircraft. This plane was used in a number of roles from interception, dive bombing and ground attacks. The P-38 had a distinctive design with sleek twin tails that gave a radical new look. This airplane was unusually quiet for a fighter. 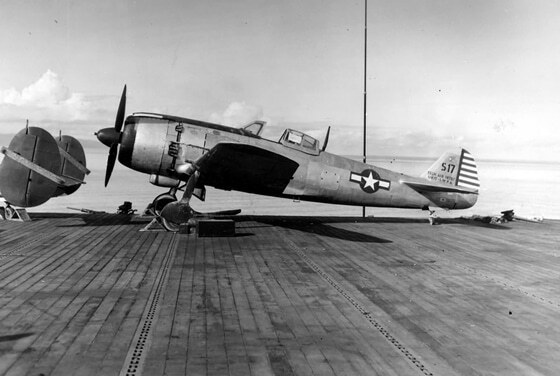 The first glance at the outsized propeller and “bent wings” might leave you with the feeling that either this warbird was assembled from parts that didn’t match, but there is some solid evidence that strongly support the argument that the Chance Vought F4U Corsair was the finest all around fighter of the war. 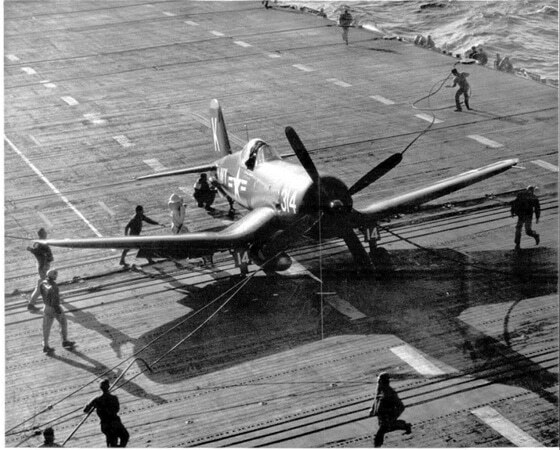 The Corsair was designed as a carrier-based aircraft with impressive performance. This single-seat fighter was used by the Imperial Japanese Air Service during World War 2. The Hayate was designed with superior views from the cockpit with a powerful engine that allowed for a top speed of nearly 400 miles per hour, a service ceiling of close to 35,000 feet and an operational range just over 1,000 miles. With excellent performance and high maneuverability The Hayate was considered to be the best Japanese fighter to see large scale operations. 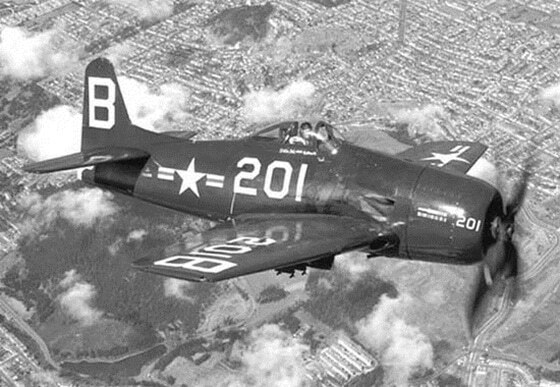 The Grumman F8F was one of the best piston-engine American fighter aircraft. It was designed as an interceptor. Although it came late in the game, it still managed to leave a legacy of power and performance. Although the Thunderbolf wasn’t too pretty to look at, it was one of the largest and heaviest fighter aircraft in history to be powered by a single 4-stroke internal combustion engine. This heavy weight warbird could give a powerful punch. Despite its mass, it could move fast, with the maximum speed around 440mph. What’s your favourite WW2 Aircraft? Let us know in comments.